jewish savannah | Yo, Yenta! 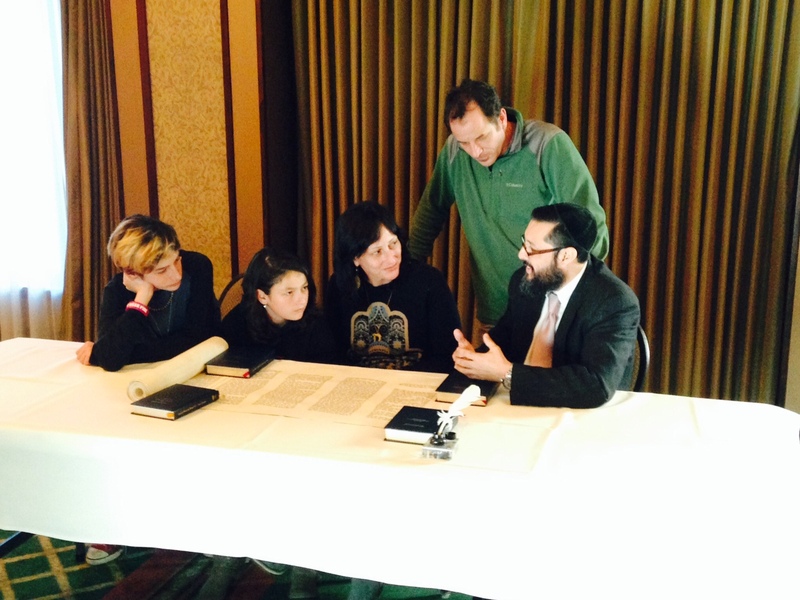 Yesterday the entire Yenta family got near a Torah with some ink and it was not a disaster. As you can see above, the family inked in a “tav” that was outlined by using a turkey feather cut in a specific way that only draws the outline of the letter. Yes, an actual feather. I’m not saying that all things Jewish can be seen through the lens of Harry Potter, but Rabbi Salazer did kind of remind me of a young, Ecuadorian Dumbledore. Ain’t no one ‘cept the soferim got time for that. But just to lay out just a little ink was quite cool. Meshuggeh to think that Little Yenta Girl might read from this very Torah at her bat mitzvah!